Known Bugs: None. Please report them to me if you notice any via private message or through this forum. NOTE: This is a huge update I hope you enjoy it I put lots of work to deliver this in a timely manner. - Flying type force units added in. - Implemented SavingGame and LoadingGame Scripts that should be compatible across versions. - Continue feature now implemented in main menu. - New menu added for priest, save feature implemetned in this menu. - New menu added for shop. - Fixed a glitch causing "Leather Glove" to only say "Glove"
- All Chapter 2 Cutscenes done. - Some stat balancing, especially making Ruburan weaker upon join and buffing up starting characters stat gains. - Many new items added in. - Chaos Breaker implemented into game along with New force member Max, and Oddeye who are not yet playable. 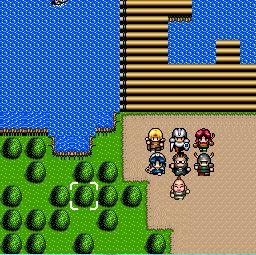 - Promotion implemented along with new battle sprites and new overworld sprites. - Ian has a special sprite if Chaos Breaker is equipped. - Blaze II does not perfectly look like SF1 yet. NOTE: The player can save by pressing S in battle and you can load during the introduction by pressing J. This function is very buggy and certainly not complete. Also saves will not transfer between versions. - Towns have been implemented into the game. - Priest now available who can revive party members for a gold fee. - Shops now implemented into the game, Only buying available. - Can exit town to return to previous fight. - Yes or No Option now implemented. - Egress now brings party to a town eliminating bugs from previous versions. - Increased experience given by enemies that are stronger. - Increased stats of Hunter Goblin to make it more on par with your force. - Corrected an error causing the Brass Loaders max health to be less than current health. - Bug fixed causing Dark Mage to not use Blaze. - Battles now start using more diverse land effects. - Fixed an error causing all Dialogues with Ian to not show chosen player name. - An error causing all Dialogues with Ian to not show chosen player name. - An error causing the Brass Loaders max health to be less than current health. - Cutscenes in previous patch were in the game files but not properly triggered, now cutscenes trigger. the battle should now be more challenging. - Brass Loader's stats corrected. 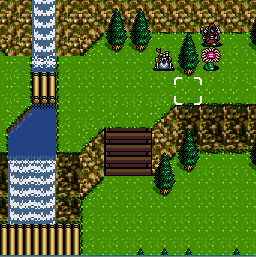 - The Waterfalls in Battle 06 are now animated. - Fixed an error that would sometimes cause the wrong music to play in certain areas of the game. - Bug fix which caused Kraken arms and legs to have infinite defense. - Introduction of some land effects. - Addition of lots of new music tracks. - Blaze Level 2 may be learned. - Many Different music tracks added in. 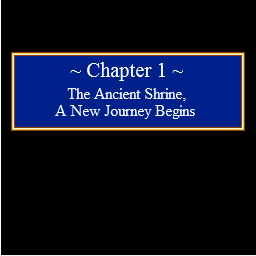 - Chapter Begin and End Screens added (New sound effect for both). 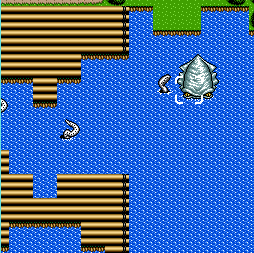 - A few graphical errors were fixed with Hassan overworld map. 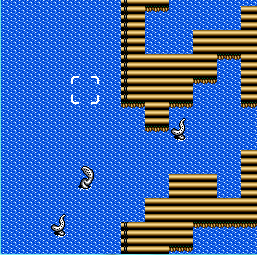 - Cutscene 5 - 8 dialogue completed and programmed, just needs the animations programmed. - 14 characters added to game (Only 6 playable in demo). - Two basic enemies created, Ooze and Goblin Respectively. The accelerated progress of this version is directly due to the help of ChaosWizard98 and I'd like to give him full credit for all his help. - Ability to enter heroes name. - The movement system, for the overworld, has been created and the character automatically snaps to the grid. 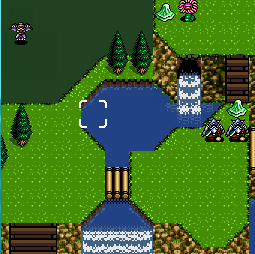 - Battle Overworld and Turn Based System Development begins. Last edited by LordOddEye on Fri Feb 02 2018 1:07am, edited 70 times in total. What is this through? Like an RPGMaker program or? Wulfunruh wrote: What is this through? Like an RPGMaker program or? This is being developed using GameMaker Studio if the production is successful I also wouldn't mind distributing the source code for people to make their own projects. What are your plans for the project? Are you re-mastering SF1 or do you have your own story planned? Nonetheless, I can't wait to see how this turns out! I'm a huge fan of your work it's really well done. Yes I actually love gamemaker I've been using it for quite sometime now having started with Gamemaker 6.0 way back. For now I'm planning to get a basic engine down and then from there I actually do have ideas for my own story. If I am successful in that I have had plans to transition into my own story. When I get to that stage in development I'll probably have to make my own assets due to Sega. But I'm thinking of trying to make a story related to the main Shining Force II / Shining Force III lines or maybe even recreate Shining Force Gaiden Final Conflict (A game I personally want to see remastered). For now I'm putting in as much progress as I can I appreciate your positive feedback I could definitely learn lots from someone of your caliber. Getting the basic engine down first is definitely the best way to go about it. I've personally re-coded my entire engine twice due to figuring out cleaner and easier ways to implement things. It would have been a pain to have to re-code a bunch of cutscenes and such in addition to the core programming. 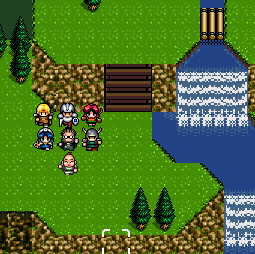 I'm thinking of trying to make a story related to the main Shining Force II / Shining Force III lines or maybe even recreate Shining Force Gaiden Final Conflict (A game I personally want to see remastered). I'm all for the re-mastering of all the Gaiden games. If you ever have questions on how I implemented things, I'll be happy to help. Thank you so much I appreciate that! I may need it soon I will be working on the combat system. I wouldn't mind working with him but first I should try to make as much progress as I can so I don't hold Mr. Chaoswizard98 back. I can't even imagine how much work he put into his own project. I wouldn't mind working with you either. I think the hardest thing though would be the fact that we have 2 different versions of GM. Both of which are no longer available for download. I did spend some time porting my game to GMS around 6 months ago so I probably have an old save that is compatible with your version of GM somewhere. I can go dig that up if you wanted to take a look at it. LordOddEye wrote: I can't even imagine how much work he put into his own project. My project contains at least 3 lines of code. I'd really appreciate that thank you! Alright, I tested it out and everything seems to work correctly. This version is somewhat old (November 22, 2016) so it's missing some of the newer features and optimizations. Nonetheless, if you have any questions on how things work or why I did certain things, let me know. Oh and the fonts might explode if you don't have them installed on your computer. If that's the case, bug me and I'll grab them for you. Chaoswizard98 wrote: Alright, I tested it out and everything seems to work correctly. This version is somewhat old (November 22, 2016) so it's missing some of the newer features and optimizations. Nonetheless, if you have any questions on how things work or why I did certain things, let me know. OK thank you so much! One of my fonts is not working so this may help. Well it works but is not quite the quality I want. I really appreciate the help! This will certainly accelerate my progress. Yeah, the two fonts I'm currently using are pretty much the exact SF fonts. The original menu font has a huge accent on it (which makes it appear way lower than where it should be) but I fixed that some time ago. I'm not sure if this version has the fixed version of the font or not, but either way, the only difference is the change in Y value when displaying the font. Great thanks to Chaoswizard98 for all his help it is appreciated and full credit to him. what a cool idea prehaps you can make lord oddeye to USE HIS MP lol, i remember that the mp on him was useless. alex_man wrote: what a cool idea prehaps you can make lord oddeye to USE HIS MP lol, i remember that the mp on him was useless. That sounds like a really good idea, I'm definitely looking forward to that part of the game. And I'll definitely take you up on that offer for beta testing it'd be appreciated and really helpful. why he got mp then? at 29:01 attack with his laser eye, my suggestion i would do like use his mp with the laser eye spell. Yes that's definitely very possible and I was actually planning to do that. It's very strange they did that. prehaps is a bug who knows you will discover when you are on it. 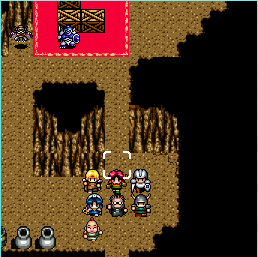 I remember in another similar game FEDA EMBLEM OF JUSTICE OF SNES that Shelly got the special tecnique but didn't do anything cuz it was no mp enough to cast it lol. in the Saturn version worked it well with animation and all. 2. She loves Ain so, that they share the same glitch. She'll lose part of her HP at a certain level.